A minor in chemistry is available to students who wish to enhance their degrees with a strong concentration in this area. The minor is a particularly valuable complement to required courses in biology, environmental sciences, engineering, or physics. A minor is an excellent credential in the eyes of future employers and enhances the records of students interested in medical or other professional schools. 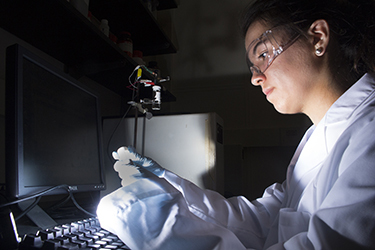 View Chemistry Minor program requirements in the University Catalog.